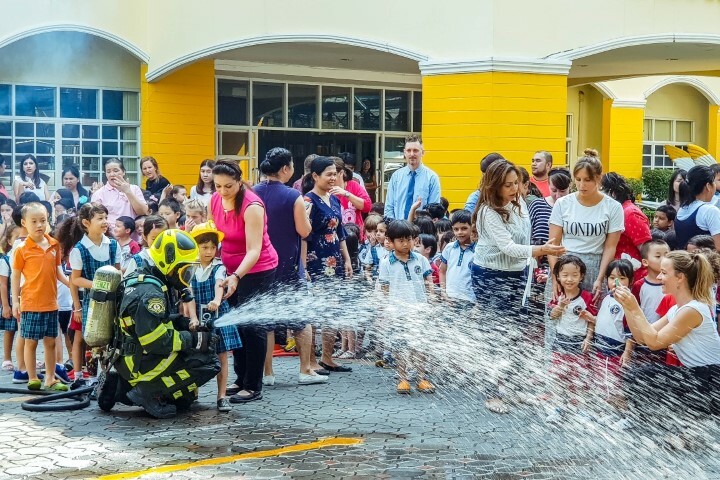 School fire drills are very important practice procedures. 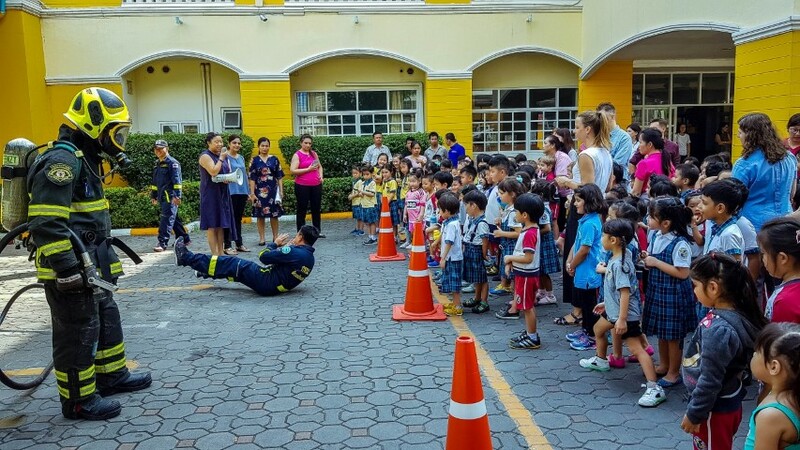 These drills teach students how to react and behave during an emergency. 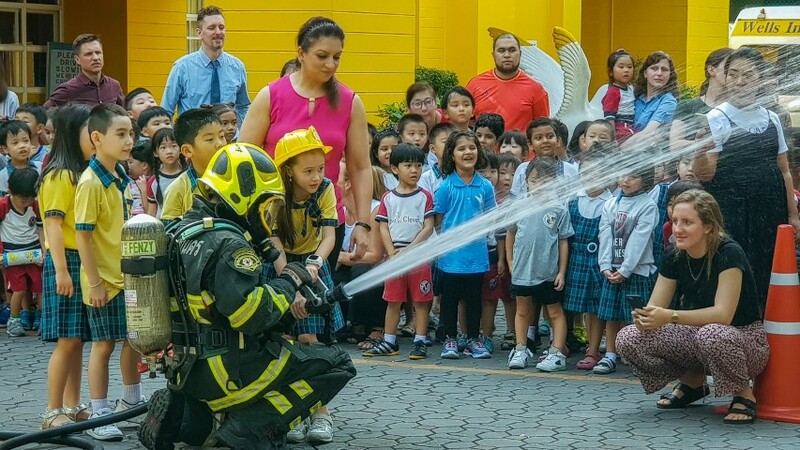 Even though fire drills are just practice, it is very important to act seriously. 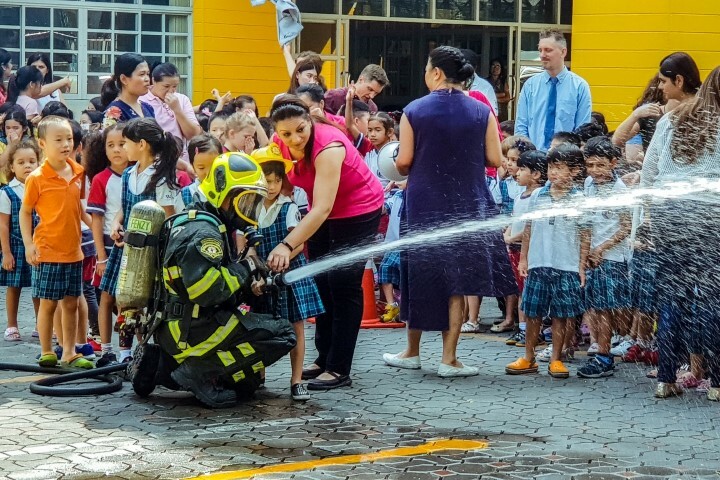 Days before the school fire drill homeroom teachers reviewed the rules and expectations to be followed during the drill. 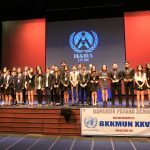 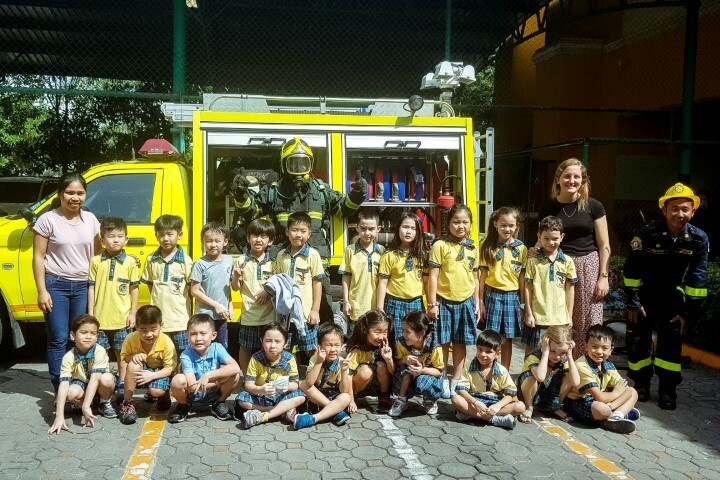 Students were told where they will be going and how to get there. 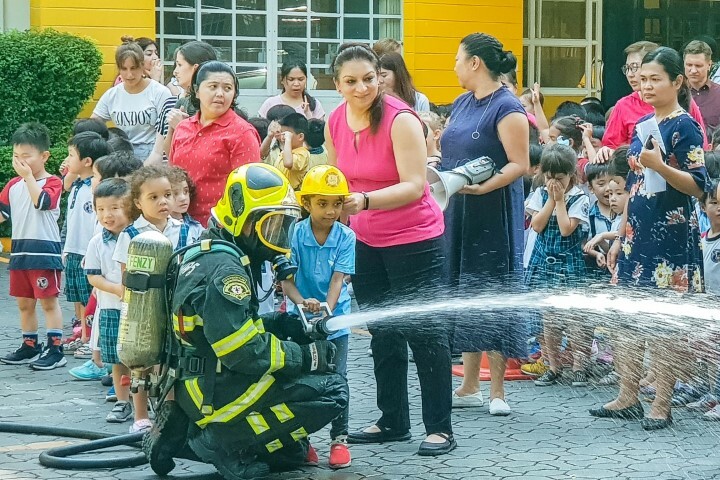 On the day of the fire drill teachers,staff and students were quick to respond to the alarm and moved out of the building quickly without any chaos. 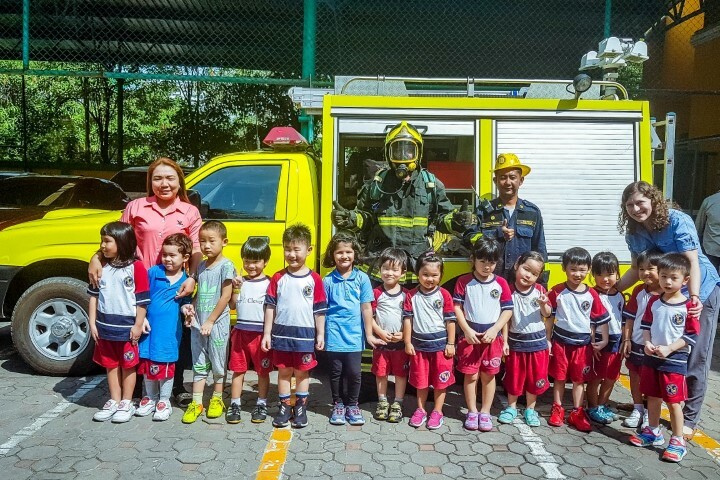 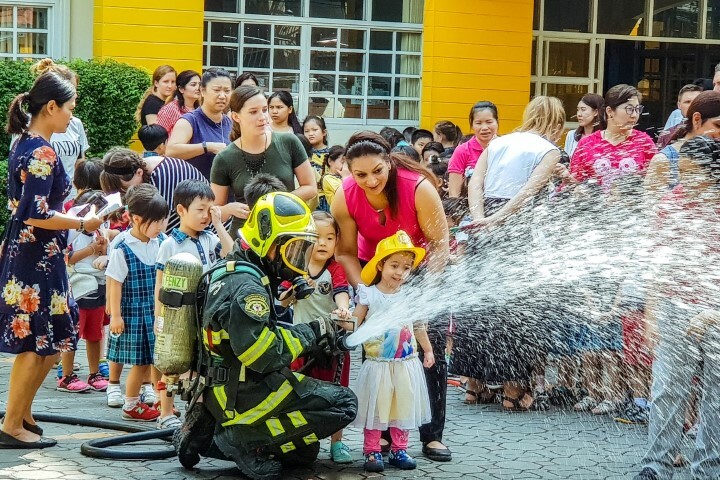 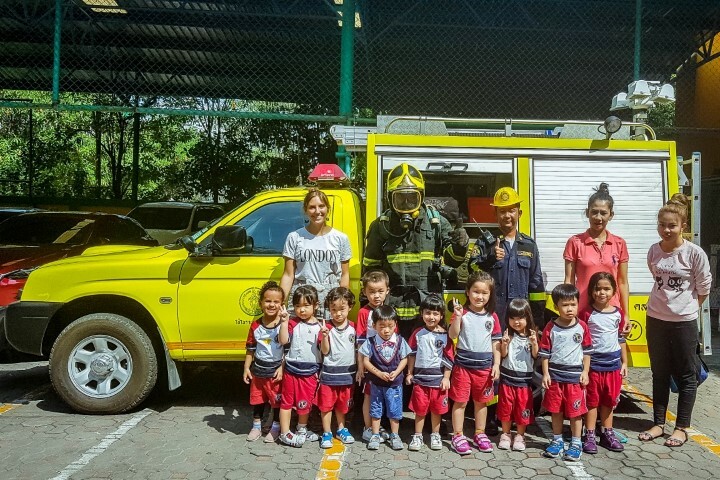 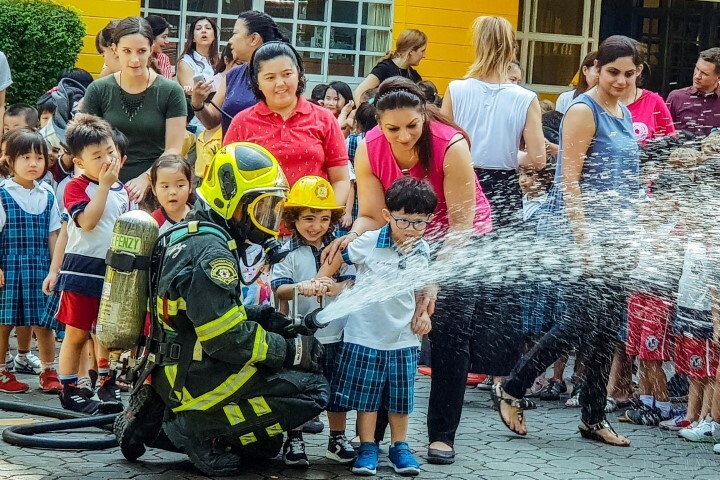 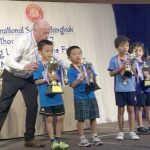 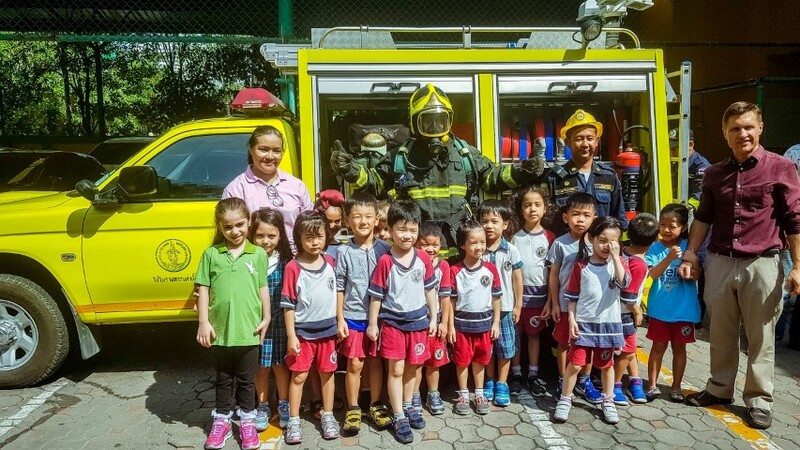 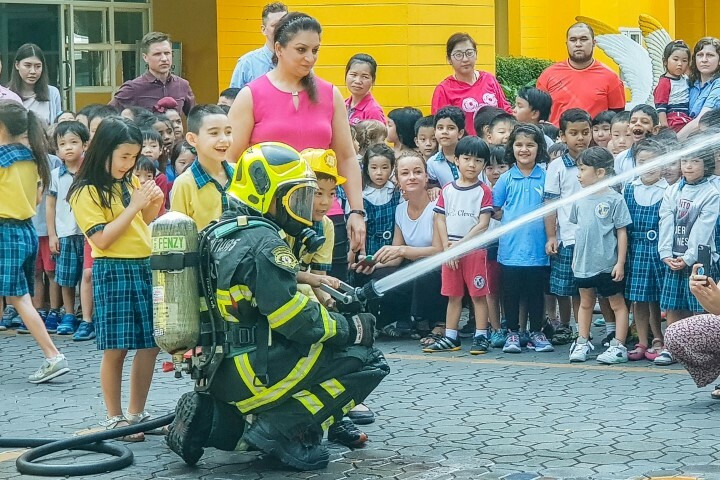 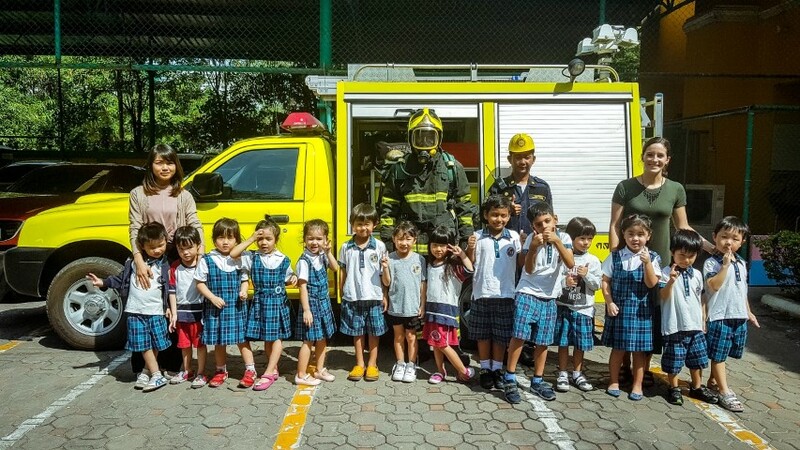 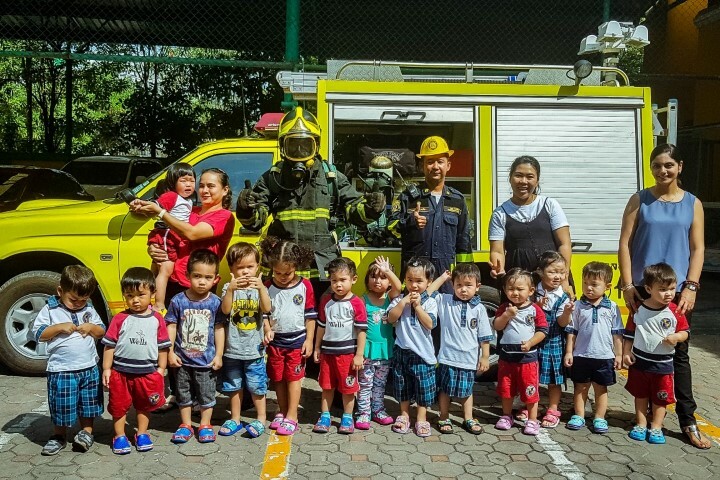 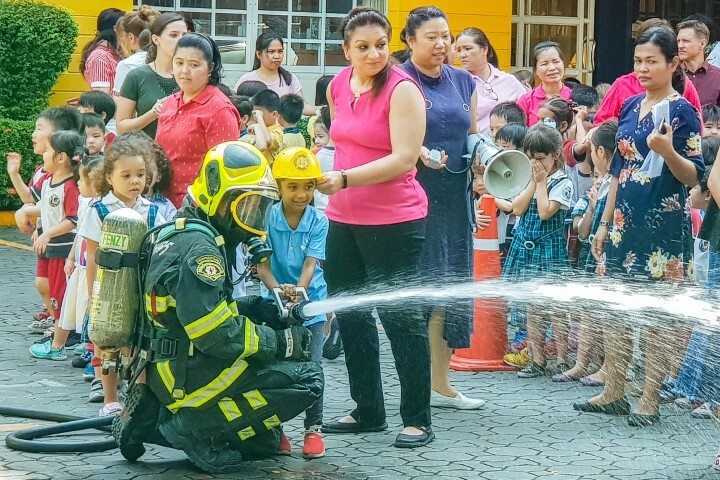 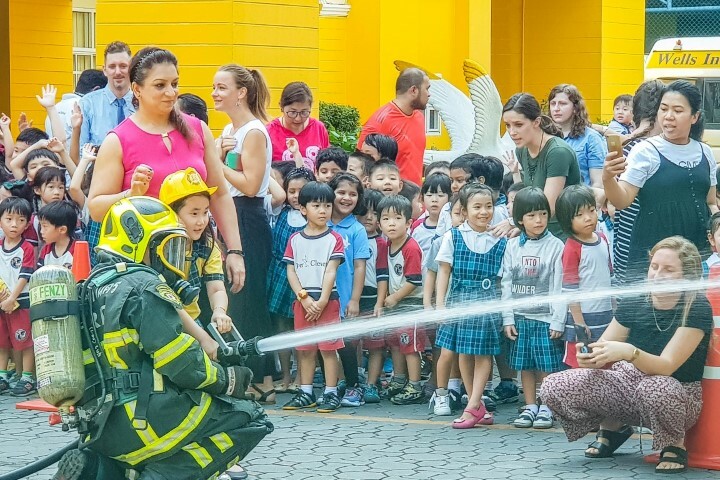 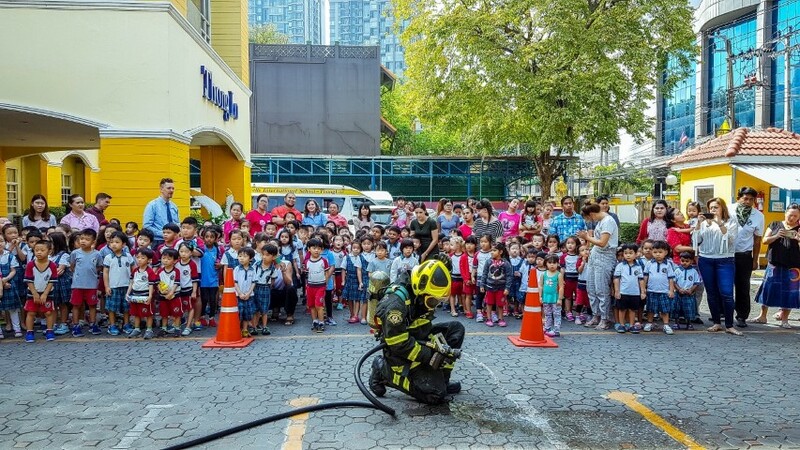 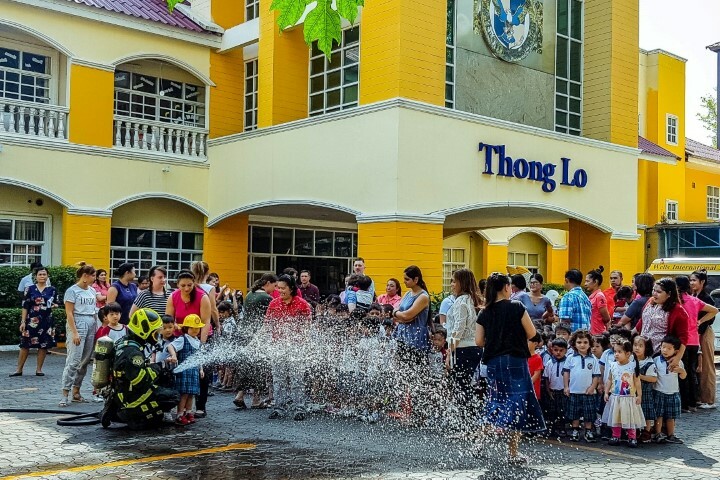 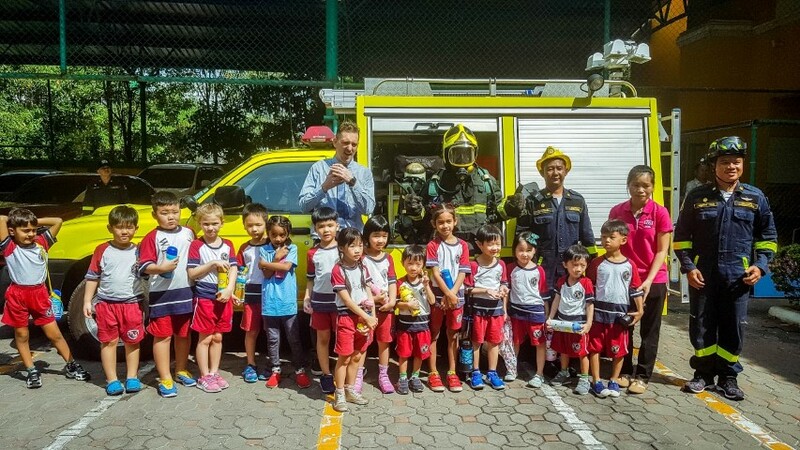 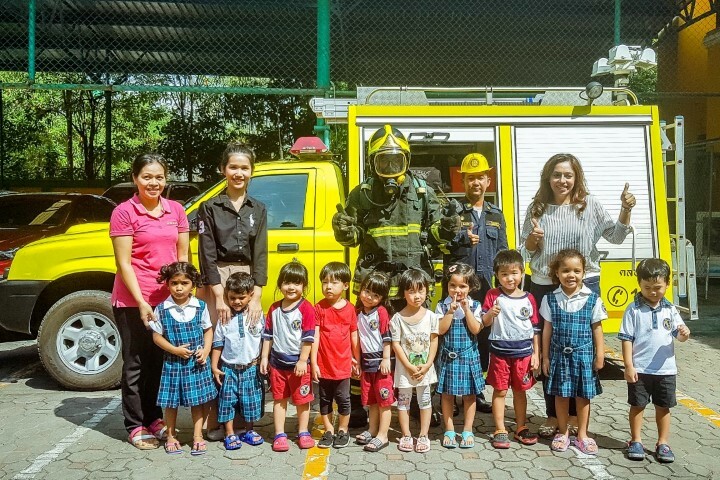 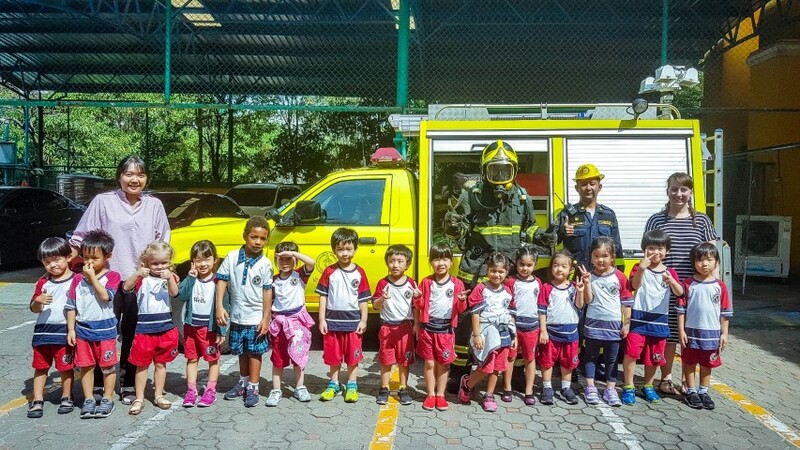 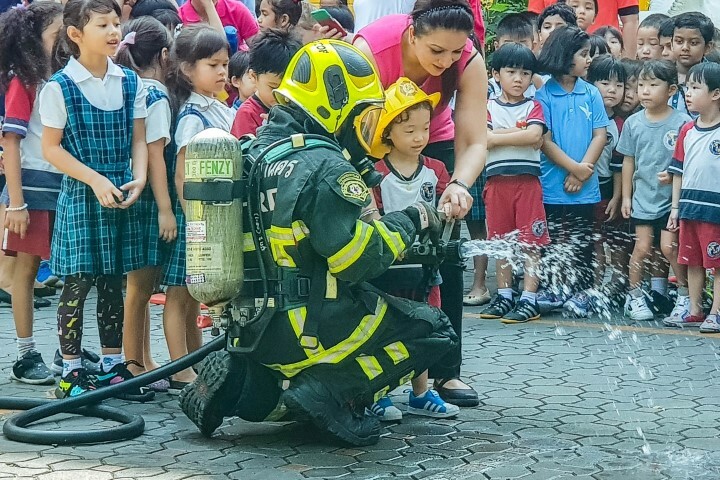 Our neighborhood firemen from the Klong Toei fire station were also present to make sure we followed all fire safety procedures and also demonstrated a few fire safety rules. 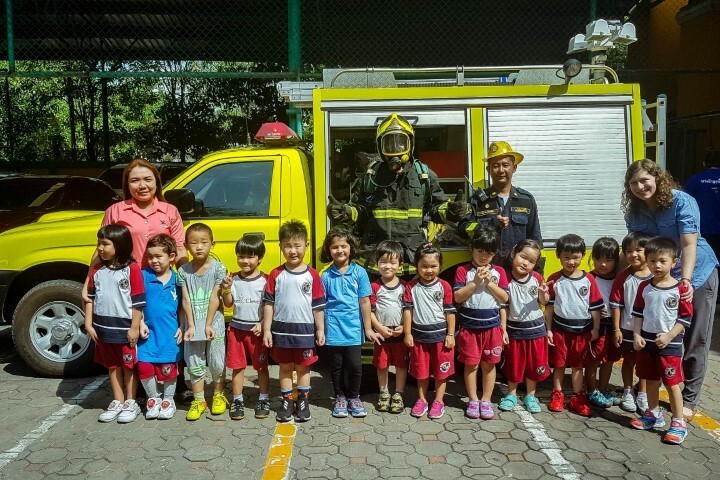 Wells Thong Lo Kindergarten thanks our community helpers for helping us keep safe.